While Tesla (s TSLA) and its CEO Elon Musk might be flying high now, back in 2008 the company went through some dark times (which I covered). Musk looked back at Tesla’s early history at the World Energy Innovation Forum at the Tesla factory in Fremont, California on Wednesday and reflected on a big lesson from the early days. Tesla should have designed an electric car from the ground up from the beginning, Musk said. Tesla’s first electric car was the Roadster, which used a Lotus body and a third party powertrain from AC Propulsion. Tesla only produced a limited number of the cars and the Roadster faced a long delay when it was launching back in 2008. “We ended up changing most of the damn car,” said Musk, “so we thought later, why did we do that.” Tesla was built on two false premises, Musk said: that Tesla could easily adapt the Lotus chassis, and that the powertrain from AC Propulsion would work as-is in a commercial environment. Tesla is now a long way from the Roadster, which it no longer manufactures. Its second car, the award-winning Model S, was designed from the ground up as an electric car — the first one in the world — and driving it is a substantially different experience from driving a gas-powered car. The battery pack sits super low on the vehicle and has “Newton on its side,” joked Musk. It’s also got a variety of other innovations that are specific to an electric car, rather than being hold-overs from the gas-powered car. Eventually, Musk thinks that every type of transportation — other than space travel — will go electric. In fact, he thinks that the architecture of a gas-powered car is “ridiculous” and “absurd” from an engineering perspective, he said during the onstage interview. But if just a fraction of the world’s future vehicles go electric, that will create a massive and unprecedented need for batteries. That’s why Tesla has to build a battery factory itself, so it can just meet its own scale-up projections. “There will be quasi-infinite demand for battery storage if energy density and prices are good enough,” Musk said. Using the Lotus body was done to save money. What Elon is saying is that they shouldn’t have been trying to save money and instead invested more. The decision was made before Elon arrived on the scene. No I don’t think you could have made the decision to spend more money on an unproven start-up. The idea was so simple! Two guys came to Elon and proposed: lets buy powertrain from AC Propulsion, buy glider from Lotus, buy cheapest mass produced li-ion batteries, put all together, and with just $50M initial investment we will be making money in 3 years!!! AC Propulsion hardware was not working, glider from Lotus had to be extensively modified, battery pack was a huge challenge to design… Tesla would have loved to use of the shelf powertrain/glider/batteries, but had to delay whole project and redesign a lot from scratch. only dreamer consider everything simple… tesla’s success is based on many engineering past from all over the industry. by excusing all mistakes to others and only taking in credit is not ethical in common sense. Roadster used the original technologies of AC Propulsion’s motor, power electronics and the 18650 cells. It is deceptive to assert “ac propulsion’s powertrain does not work” while at the same time, we see the roadster employing the same/very similar motor stator design, copper rotor construction, encoder construction, encoder plate number of teeth, power pcb pattern, power devices arrangement, capacitor arrangement, igbt driver arrangement, current sensing scheme, power bus bar arrangement, power connector as the original ac propulsion Tzero gen2 system. It is not hard to just compare the components from the roadster and an ac propulsion system. and of course they should have built the roadster in house. It’s a very simple chassis and the suspension is kit car style. Huge mistake to depend on a reluctant costly very far away supplier. In house would naturally also be more flexible. Other big mistakes very made as well. The 100watt vampire drain is a major one. The battery pack also got too heavy because of too much packaging. And here’s an additional mistake. That they didn’t continue the production with a new chassis of their own. The truth is, it’s a very simple and small car and can be produced at very low cost if done right. Yet they managed to lose 100k$ on each one they sold. Make a new roadster and price it at 25k$. Fiberglass on welded alu. 3.5 second acceleration. Actually space travel will also go electric, Elon. Those UFOs aren’t using combustion engines or rockets. Let’s not forget the EV1. It wasn’t made in as many numbers as the Model S, but it was still modern, purpose-built, and mass produced. It is battery technology that is holding back the electric car, not body or transmission design. The Tesla Roadster did not use the AC Propulsion drivetrain and the only thing licensed from them was part of the inverter technology. The Model S wasn’t the first modern, ground-up electric car. That honor goes to the Nissan LEAF. Of course there were plenty of ground-up electric cars in the late 1800s and early 1900s too. The Nissan Leaf was based on the Versa/Tiida Platform. 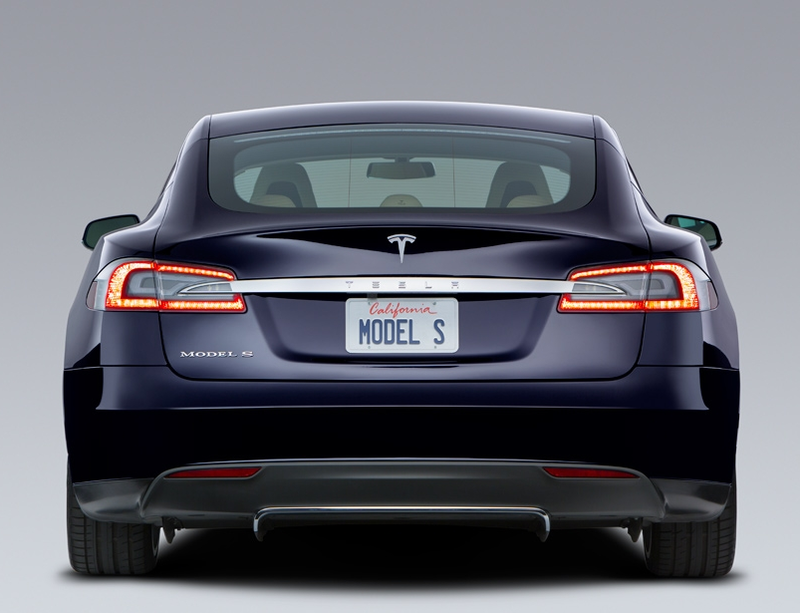 Tesla Model S is the first lithium ion EV designed from the ground up. The Nissan LEAF is basically a lengthened Nissan Versa, so it wasn’t really designed around thinking about the best way to optimize an EV.